So, let’s just face the fact you have an urge to promote your products in some other than Twitter social media, and you’d like to use Linkis for it. What should you do? Now you have to make your link branded. Paste the link you’d like to share in the empty field. Then press the «Brand it» button. Once the link is branded you’ll see it in your «My Links» list. Now all you have to do is to share your branded link to any social accounts of yours. 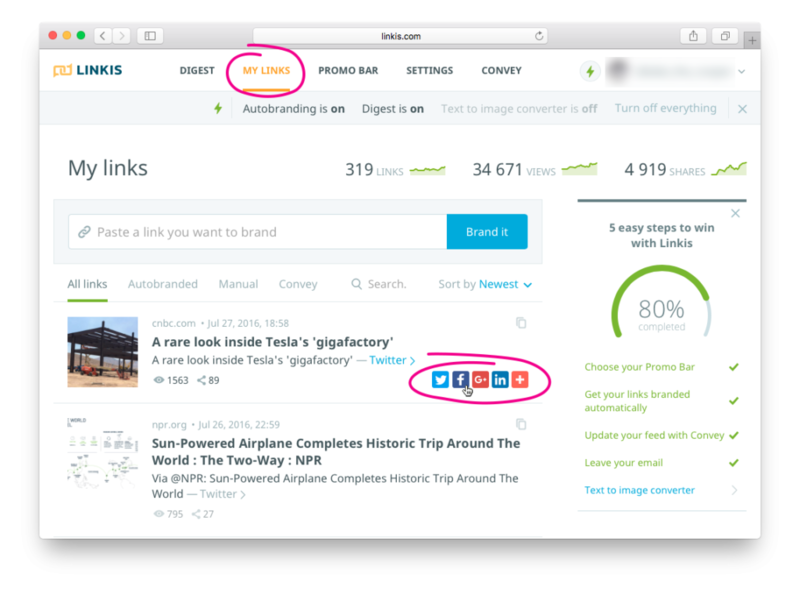 Using the mouse cursor hover over the link and you’ll see all social channels you may share your link to. 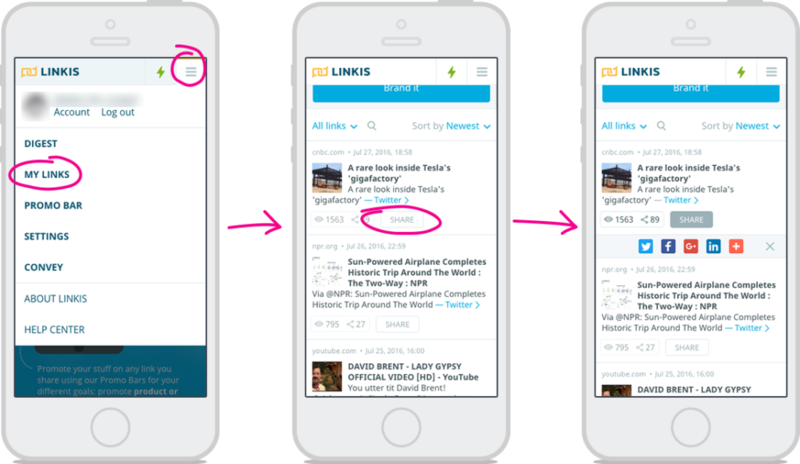 And if you hover the cursor over the «+» button you’ll see more social platforms compatible to Linkis branded links. If you seek some specific link you may sort out your Autobranded links and manually posted links. Also you may check the amount of views and shares your links got and adjust your strategy correspondingly. Additional info might be found here.